Yahoo! Local Listings are one of the most important online listings for your business. Yahoo! is right up there with Google and Bing in popularity and usability and is a great marketing tool for your carpet cleaning or disaster restoration business. So read on to learn how to put Yahoo! Local listings to use for your company! What is Yahoo! Local Listings? When your business is part of the Yahoo! Local Listings directory it shows up in Yahoo! Local search results and across other Yahoo services such as Yahoo! Maps, Yahoo! Answers and Yahoo! Search. 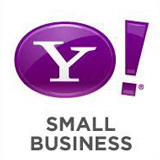 To see if your business qualifies to have a free listing in Yahoo! Local Listings, click here. So we’ve learned that Yahoo! offers two types of local listings: basic and enhanced. The “basic listing” is free, while an “enhanced listing” costs $9.95/month. Start by clicking the blue “Sign Up” button in the middle of the page. You will be prompted to log in using your Yahoo! Account. If you do not have a Yahoo! account you will need to create one. Next fill in your basic business details – its name, phone number, address, zip code and category. Good options are Carpet Cleaning, Fire & Water Damage Restoration and Maintenance Services. As always, make sure this information is consistent with that in your other online local listings on Angies List, Google+ and Yelp. Fill in your additional business information. This includes your website, logo, more ways to contact you along with your Facebook and Twitter addresses. Add in your hours of operation and other operation details. This includes what year your company was established, what languages you speak, and the products and services you offer. You should also specify your payment methods and any specials you offer. Finally, you’ll be offered to upgrade to an Enhanced Listing. However we recommend starting with the basic free listing. Then IF you see a lot of traffic from your free listing you may consider upgrading. Before submitting your Yahoo! Local listing for verification, you’ll be given a chance to preview your listing and make any necessary edits. Upon submission you will need to decide how you want to verify your business. If you choose to do it via email you will receive an email with a confirmation code that you can then use to verify your company. Your listing will be reviewed by the Yahoo! Team and you can track its status in your Account Dashboard. This is also where you enter your verification code. Through the dashboard you can also update your current listing or upgrade. The approval process takes about 20 days for basic listing and 5 days for enhanced listings, and shows up in Local search results about 48 hours after approval. So just WHY Should my Business Use Yahoo! Local Listings? Setting up a Yahoo! Local Listing is easy, free and good for your business. According to Yahoo!, “Enhanced and Basic Listings are displayed in Yahoo! Local search results in response to relevant user queries. Key information, including your business’s name, address, and phone number, is displayed on the search results page. For more detailed information, users can click on any listing to reach a Details Page, which includes the additional information you provide, including completely description and photos of your business. Creating such a wide presence for your carpet cleaning or restoration company on Yahoo! and across the Web is a great way to attract new customers and give your business a unified online presence. What are the Cons of the Yahoo! Local Listings? Are the Yahoo! Local Listings Worth my Time? Yahoo! Local listings absolutely are a great time investment. Since Yahoo! is one of the most popular search engines out there it would be silly not to be a part of their free online local listing directory. So do you use Yahoo! Local listings? Tell us about your company’s experience in the comments section below.